So its not ‘Veni, Vidi, Vici’, but when put into practise it will assist in conquering your content. 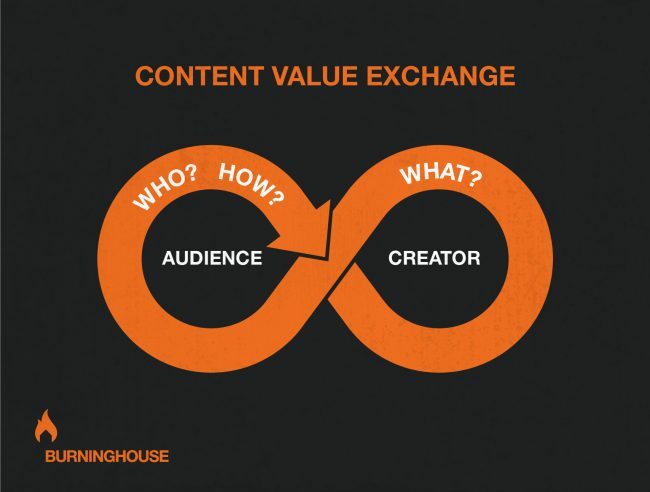 If you understand that content and its consumption is essentially a value exchange between the audience and the creator, then these three simple questions will help frame up the exchange at its most basic. It’s not good enough to answer, “this video should appeal to everyone”. It’s likely that you have multiple target audiences, segments or personas that you service. Be specific about what you know about this group – the more clearly you can identify your audience; the more opportunity you will have to move them with visual content. It is critical to understand on what platforms the content will be consumed. Will they be watching from your website? Or from a newsletter sent via email? Or on one of your social media channels? And if it is the latter – which one? Instagram users consumer video content differently to those on LinkedIn. Understanding the platform and device dictates many things; from the aspect ratio, sound, export formats, through to length of content, genre, manner of storytelling, edit structure, the list goes on! What do you want as the content creator? Are you informing, entertaining, training, interrupting, building a relationship, building a brand or are you driving sales? (Likely the last, even if you start to answer one of the others). By understanding what you want out of the value exchange, we can help craft visual content that reflects your key message. The clearer you are about these three key questions the more effective your content will be, for both you and your audience. We can help you unpack these three questions in an initial meeting so please get in touch and we can discuss your video brief.